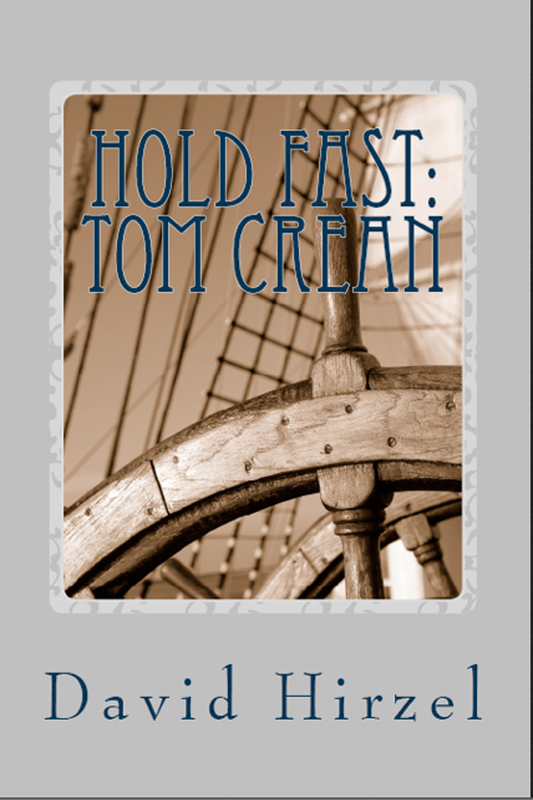 “Hold Fast: Tom Crean with Shackleton” is now available. Some men are born for the sea. They run away to it early in life, and it shapes their adolescence and young manhood, their view of themselves and the world, and everything that follows. Tom Crean was such a man. A sailor’s world is defined by the boundaries set by the rail of his ship. Beyond that rail, at an indeterminate distance, he sees but cannot reach the endless circle of the horizon dividing the blue water below from the blue sky above. It appears the same wherever in the world his ship may be, afloat on the heaving swells of any one of the seven seas. The sky and water may not always be blue. They may be gray, white with driving foam and fog, obscured by night, defined by stars, the water calm and flat as a mirror glass or risen in waves beaten by ceaseless gales. It is always so—changeless and ever changing, the same and never the same. This is in part the allure of the sea, this placement of man against nature—defined by nature, overwhelmed by nature. If he comes home to tell the tale, he finds himself in some small measure triumphant against forces far greater than his limited power. The call of the ice is not so different from the call of the sea. The horizon is much the same, the sky above as blue while the ice below has taken the place of water as far as the eye can see. The ice can assume many colors other than the expected white; descriptions of it are full of words like azure, lemon, topaz, aquamarine. But its apparent end is still a horizon always out of reach, its undulations and sudden motions as treacherous as a rogue wave to the unwary traveler. After Captain Cook’s circumnavigation of the supposed Antarctic continent in 1773-1774 a host of explorers had gone there in his wake ice and come home with tales of wonder and suffering, as though the two experiences were somehow unalterably linked. Some men are born with a love of this. The sound of brash ice scraping along the side of the ship with a sound like broken glass shaken in a box is a lullaby to their ears, a familiar song they know long before the first time he hears it. The ever present knowledge that their ship might be gored by a floe and sink without a trace only serves to heighten their desire. When he said “What the ice gets, the ice keeps,” Shackleton was referring to more than just the doomed Endurance splintering under the irresistible pressure of sea-ice in motion. Thank you for your interest in our forthcoming book “Hold Fast: Tom Crean with Shackleton in the Antarctic.” Publication is imminent, on or before April 1. I will send you an email as soon as it is available. Fair winds!